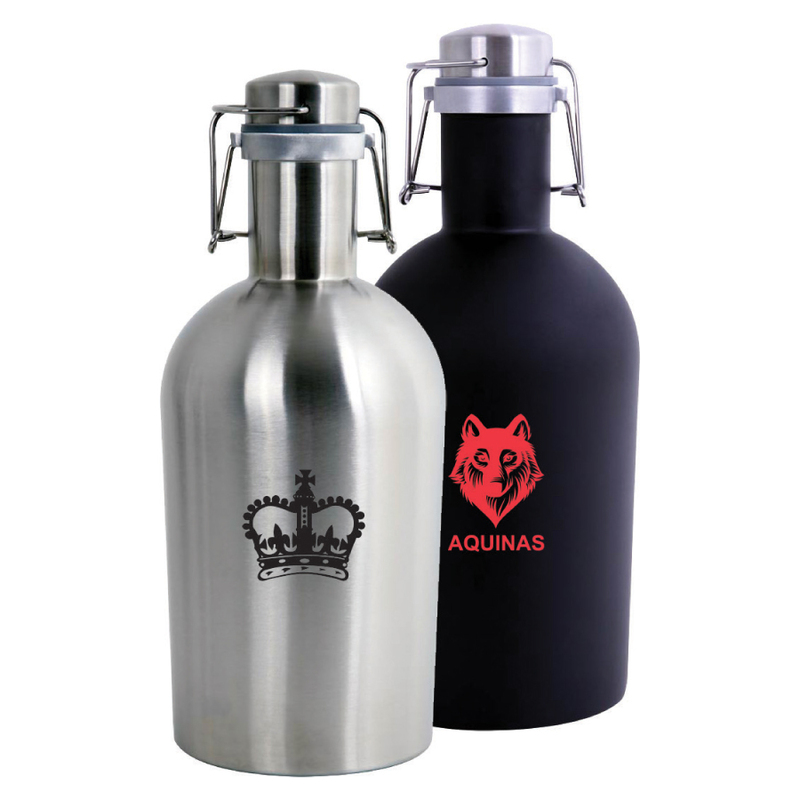 Made of food grade 18/8 stainless steel, this is a giant leap forward for craft beer lovers who`ve grown weary of hassling with traditional glass growlers. A passivated interior is meant to keep 1.8 litres of malty goodness or well-hopped heaven tasting just the way the brewer intended. An attached swing top offers long-lasting freshness and ensures you`re giving your beer the tender loving care it deserves. This is an ideal gift any beer lover would appreciate. Keep the growler filled in your refrigerator to ensure a cold brew to when you want it. Hand wash only, do not freeze. ?Material: Stainless Steel Colours: Silver or Black, Dimension: 290mm x 150mm. Price includes : 3 Day Service* Pad Imprint - One Colour One Location. Setup is included.